Our Commercial brochures and pricelists listed below can be downloaded. 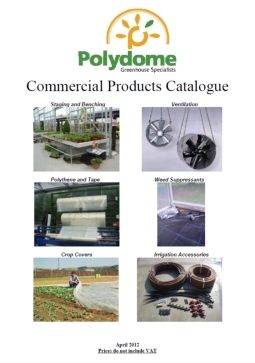 This catalogue gives details of Polydome's standard single span Commercial Polytunnels. 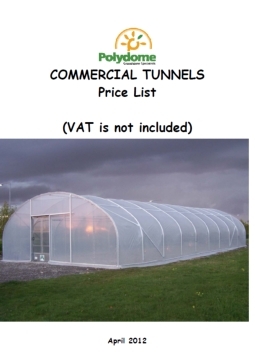 The specification of Polydome's Polytunnels can be configured by the customer to meet their budget and requirements. 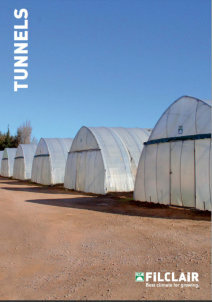 Tunnels to suit the professional grower with features to provide greater control of ventilation and offer a cost effective solution for growing better crops. 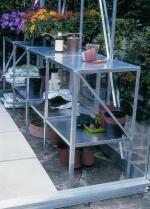 Vertical sided tunnels maximise the use of inside space. 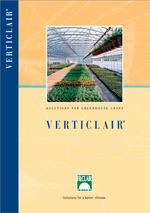 Verticlair models have particularly good quality and attractive gable ends which make them our most popular tunnels for commercial growers. 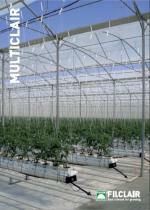 Multiclair Multispans are available in 8m or 9.6m wide bays and can be supplied to almost any width or length required. The best growing atmosphere is provided by these 'cathedral' structures by virtue of the large air mass within the structure and through the use of roof ventilation systems (usually automated). 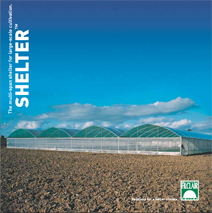 The Shelter is a stronger and more reliable solution to the Spanish Tunnel type product. The Shelter has been designed using design technology from the aerospace industry to maximise the efficiency of using side and end roll up vents instead of expensive roof ventilation. Aimed primarily at market garden growers the Shelter is available in 9.6m wide bays, starting at 3 bays wide and can be supplied in several section lengths to suit the nature of the site. 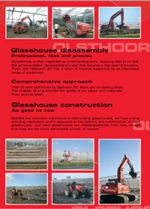 Olsthoorn BV is a specialist in building high-quality used glasshouses. 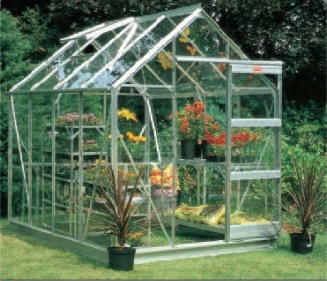 Several types of glasshouse systems are available.